Not really big enough! 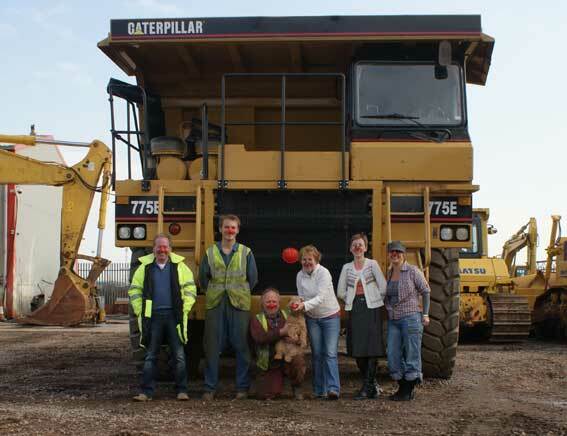 The ‘Red Noses’ available for motor vehicles in this year campaign for Comic Relief are not quite big enough for the Caterpillar Dumptrucks found in Chepstow Plant Services yard in Newport Docks. That didn’t stop the team at Chepstow donning their ‘Pirate Red Noses’ in the name of Charity, smiles all round, and don’t they look rather fetching!